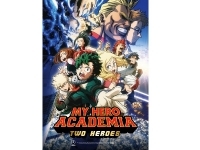 USPA NEWS - Moments ago, during an Exclusive Interview with IGN, Voice Actors Christopher R. Sabat and Justin Briner, Stars of the "My Hero Academia" Series, revealed the Theatrical Release dates for the eagerly anticipated New Film "My Hero Academia : Two Heroes." Funimation Films can confirm that the Official Theatrical Dates for "My Hero Academia: Two Heroes" are September 25, 26, 27, 29 and October 2, 2018. 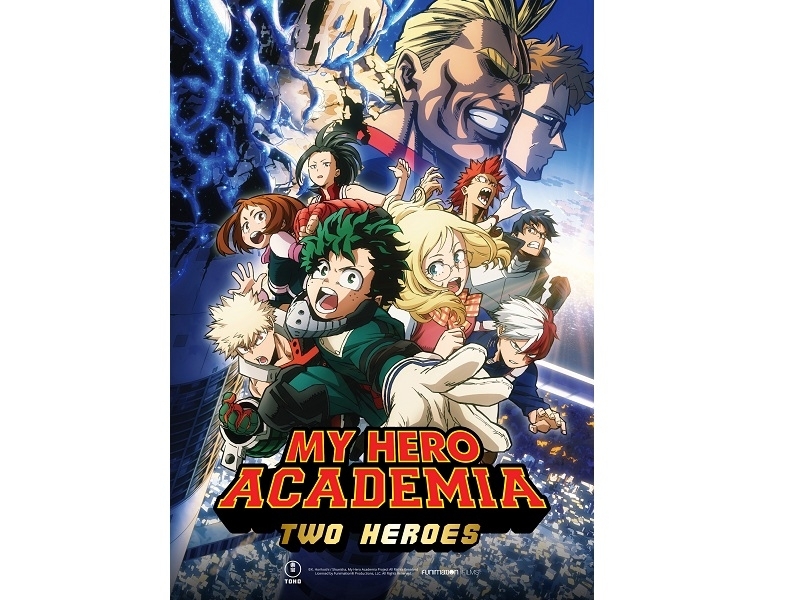 Moments ago, during an Exclusive Interview with IGN, Voice Actors Christopher R. Sabat and Justin Briner, Stars of the "My Hero Academia" Series, revealed the Theatrical Release dates for the eagerly anticipated New Film "My Hero Academia : Two Heroes." Funimation Films can confirm that the Official Theatrical Dates for "My Hero Academia: Two Heroes" are September 25, 26, 27, 29 and October 2, 2018. This First Ever Feature Film in the "My Hero Academia" franchise from Toho Co. Ltd., will screen in both Japanese (English Subtitles) and English Dub on Separate Dates during its Five-Day Run in over 400 Theaters across the U.S. and Canada. "My Hero Academia : Two Heroes" will be available in English Dub on September 25, 27 and 29 and in the Original Japanese (English subtitles) on September 26 and October 2. In support of the New Film, Funimation was co-hosting a "My Hero Academia" Panel at San Diego Comic-Con on Saturday, July 21, 2018 at 11:15 a.m. in Panel Room 6A. The Panel was featuring Kohei Horikoshi, Creator of the My Hero Academia Manga, alongside English Voice Actors Justin Briner and Christopher R. Sabat who portray Deku and All Might respectively in the Anime Series. Our favorite Young hero-in training is in for a Wild Ride when Villains threaten the Artificial Moving City, I-Island. Deku and All Might receive an Invitation to I-Expo, the World's Leading Exhibition of Quirk Abilities and Hero Item Innovations! Amid the Excitement, Sponsors, and Pros from all over, Deku meets Melissa, a Girl who is Quirkless just like he once was. Suddenly, I-Expo's Top-Of-The-Line Security System gets hacked by Villains, and a Sinister Plan is set in Motion. It's a Serious Threat to Hero Society, and one Man holds the Key to it all—the Symbol Of Peace, All Might. Now in the Middle of its Third Season, "My Hero Academia" was the most Awarded Anime Series of 2017. Awards and Accolades included IGN's "Best of 2017 - Anime Of The Year" and "2017 People's Choice - Anime of the Year" Awards, Seven Top Honors at the Crunchyroll Anime Awards, ComicBook.com's "2017 Golden Issue Award for Best Shonen Series" and the #1 Spot on both Anime News Network's "Best of 2017 Mega Poll" and GameSpot's "Top Ten Anime of 2017."